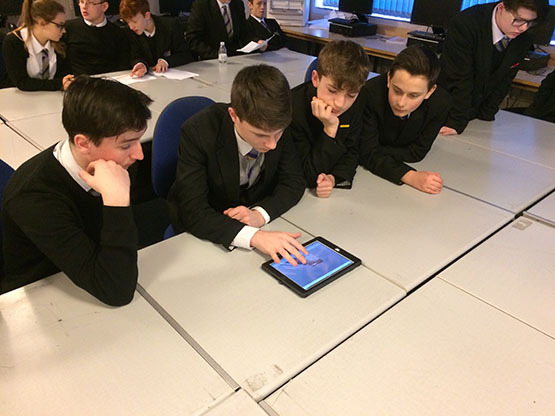 BAM presented on BIM (Building Information Modeling) to Barrhead High Schools Graphic Communications group. The session, tailored to the S3 group included a brief introduction to BIM and all of the elements which are included within the entire BIM process providing an overview of what is expected in the modern world of designing buildings. Ross Honeyman, Assistant Design Manager working on the Barrhead High School Project and David Murray, Assistant BIM Manager spoke of how the traditional method of 2D drawings has now been developed using a digital model into 3D, 4D, 5D and even 6D. They explained that their role was within the pre-construction stage, ensuring the design was appropriately coordinated prior to orders being placed with subcontractors. They described all the different types of software involved in the BIM process and also touched on the use of iPads on site, allowing the site teams to more easily understand the design philosophy and improve communication of outstanding issues including snagging. Ross stressed the main benefits of BIM; including up front collaboration leading to more cost efficiency and therefore increasing quality on site. With the main benefit being the client who receives a comprehensive information and digital model to effectively run their building whilst aligning with the government mandate of BIM Level 2.